Logic has released his first Young Sinatra project since Young Sinatra: Welcome To Forever released in 2013. With Welcome to Forever being one of my favorite projects ever, I had high expectations for this album. Before the album released, Logic dropped three singles including, “One Day” feat. Ryan Tedder, “The Return”, and “Everybody Dies”. The first single, “One Day”, is no longer in my music library, along with two other tracks on the album I feel don’t fit at all. The other two tracks I don’t listen to are “Ordinary Day” feat. Hailee Steinfeld, and “The Adventures of Stoney Bob” feat. Kajo, Slaydro, and Big Lenbo. I never listen to those tracks because I feel they don’t have the same sound as any of the rest of the tracks. With that being said, literally every other song on the album, I think is amazing. Major highlights include, “Wu Tang Forever” feat. 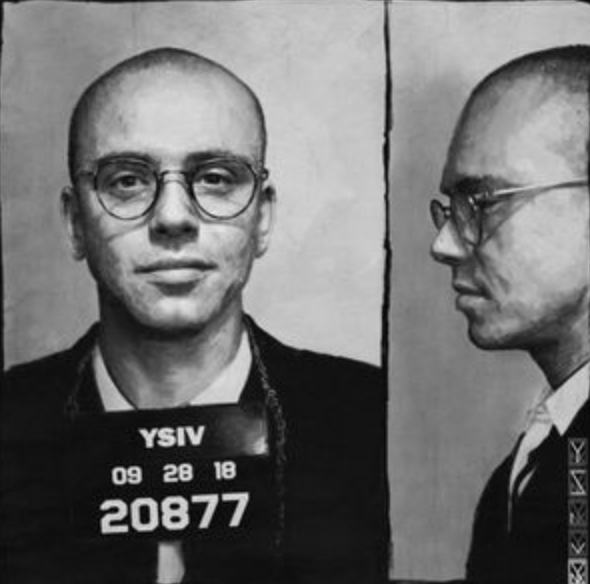 Wu-Tang Clan, the titular track, “YSIV”, “Street Dreams II”, my favorite track “Legacy”, and the final track on the project, “Last Call”. While this is a completely separate project from the other three Young Sinatra mixtapes, I think about every song with this question: Would this fit on one of those projects? All the songs except for the three I named that I don’t listen fit perfectly. Especially “Street Dreams II”, and “Legacy”. Both of those tracks are great songs, with a great beat. The best part about those songs for me is that Logic is telling a story through his raps throughout each. “Street Dreams II” tells a story about how Logic is going to find the man that has kidnapped his wife, and when he arrives, he realises that it was Logic himself that was holding her hostage. “Legacy” is a beautiful track about how Logic thinks the world and his family will remember him after he dies. With a section of the song being from the perspective of a man laying on his death bed finally realising that all that really matters in life is his family. When I listen to this album after removing those three tracks, I feel like this could be included in my list of favorite projects of the year, as well as one of my favorite Logic projects ever. If I didn’t have to take those three tracks off myself, this would be at least a 9/10 but since I have to, it loses an extra point.